First off I would like to thank all of you that playing in the Sport Relief Texas Scramble at the weekend, and also the Handicap and Comps Committee for there help this year in running it. It is really nice to see the members supporting these good causes and having run these comps for the last 4 years I can tell you that the money we have raised is well into the thousands, so a big thank you. Last week I said I would be including some feedback from members that have had the new GC2 custom fitting experience, so as not to disappoint here is Dave Ledgers story. 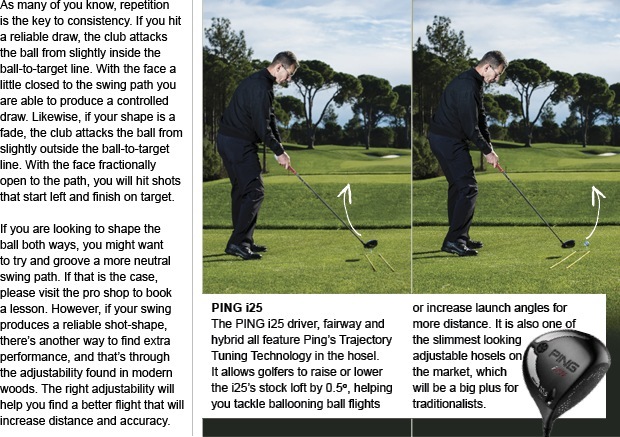 Dave is one of my senior section members who came to me a couple of weeks ago asking how the new products could help his golf, mainly to help improve his waning distance. I explained the new products to Dave and booked him in for an appointment the next week. 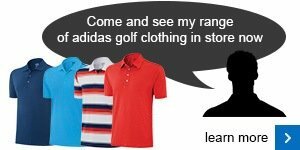 So golfers don’t be shy, I am here to help you play better golf and achieve your goals, and the new technology really does work, so give me a ring and we’ll book a time to to start your golfing revolution! 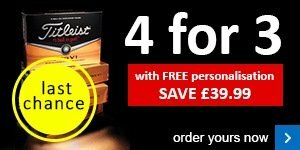 This weekend see’s the last of the Proshop Winter Series, and is a double points week, so all is still to play for. I would like to thank all those who have supported the Series and I hope you have all enjoyed it again, big thanks to Derek Heron for compiling all the results for us aswell. Lastly we are running a 4BBB comp on Bank Holiday Monday (21st April) this is open to members and there guests. Entrance will be £2.50 for members and only £15 for guests, so ring round your mates (for those who have any) and come and have a cracking day of golf here at Blundells Hill. If you're in the market for new shoes then you know who to see. 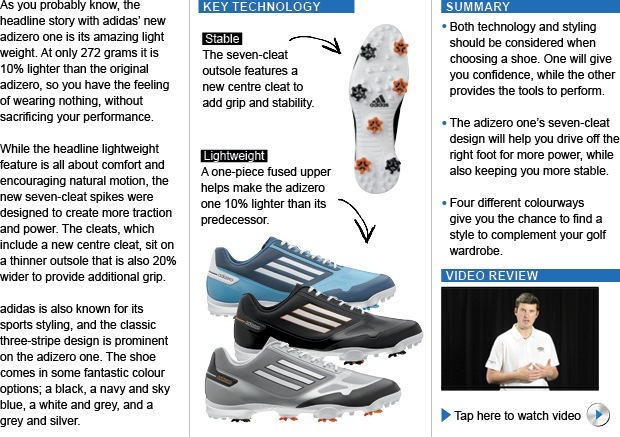 If you’re looking to freshen up your golfing wardrobe this season, look no further than the adidas range that features some fantastic looking designs and appealing colour combinations.